Different saws are good for various tasks and living situations. While there are dangers to using a saw, if you gain experience and use some safety equipment, these dangers are minimized. Here are my top picks for different saws. I have included different fuel types because needs can vary based on your situation. 1 Don’t get the biggest saw you can find. 3 A quality saw means less frustration and is critical for safety. 10 The handsaw is an important tool for the homeowner and prepper. 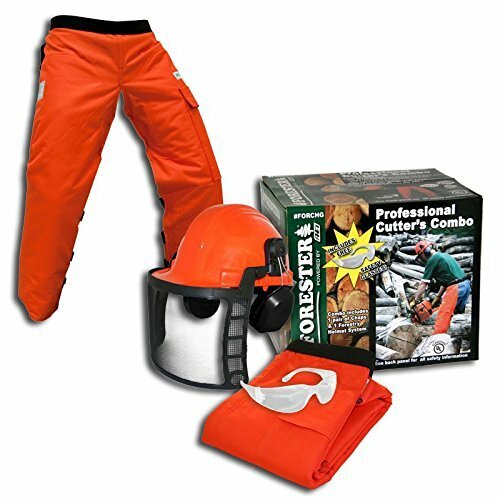 15 Safety gear should not be overlooked when using power saws. 15.2 Good full leather boots with a good toe. 15.6 Register your product or make sure the dealer does. 16 There is no perfect saw for every use. Don’t get the biggest saw you can find. Do not be tempted to get more saw than you need. You can do a lot with a small saw. The extra weight, expense, and fuel consumption of going larger than needed can add up when resources are strapped. Stihl makes about the best quality chainsaw on the market. I don’t get paid to say that but over 15 years of experience with this brand and I haven’t found better for the money. Weight: Just over 10.5 lbs but this does not count the weight of the bar, chain, or fuel you need. 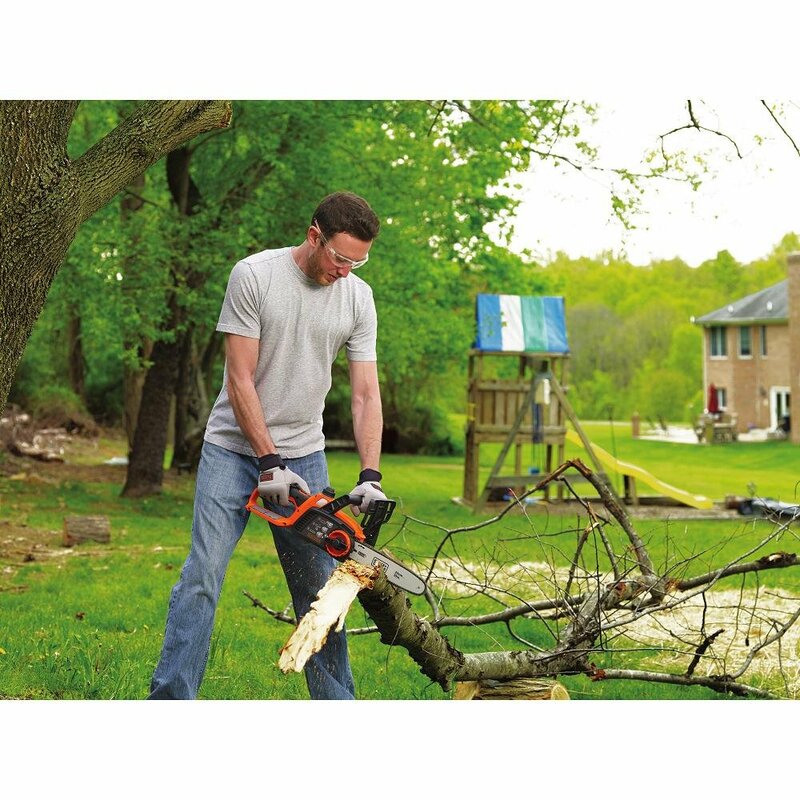 Unless you have a ton of bigger trees than you do not need to go any larger than the Stihl 260. We have a 280 and for most jobs on our 11 acres, it is more than is needed. At the same time, there were some larger trees where it was nice to have. Over time you may find that your needs change. In the beginning a larger saw may be nice but once you get that first round of big trees down it may just be extra weight to deal with. Remember that a smaller saw like the 260 may still be able to do everything that you expect a 280 to do but it will take longer due to a smaller motor size. When you go to a dealer you can ask for a longer bar. An 18″ bar rather than a 16″ can make a big difference. Having different size bars for different levels of job may be a good compromise over getting two different size saws or one that is larger than you need for most things. A quality saw means less frustration and is critical for safety. When Matt and I were first starting out clearing our property 11 years ago, we were on a tighter budget and figured something was better than nothing. This resulted in buying a $100 Homelite chainsaw that literally broke in Matt’s hands right after he was done with a cut. 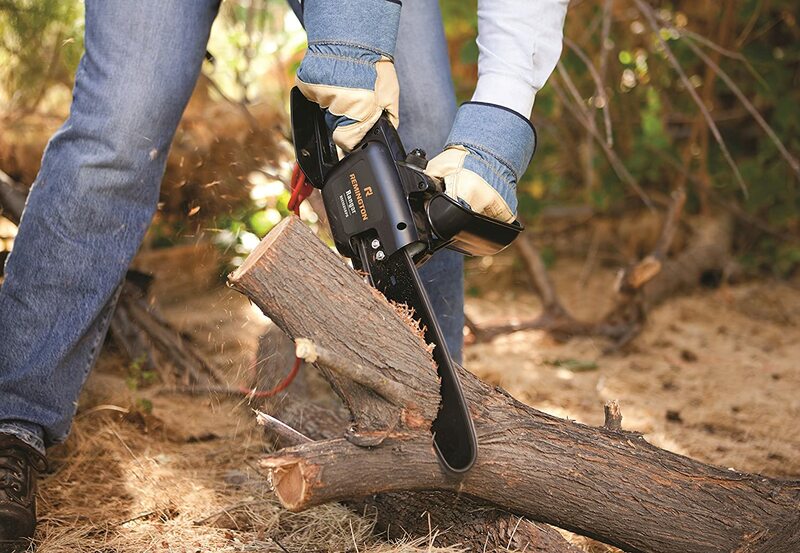 A chainsaw handle breaking could cause serious injury. 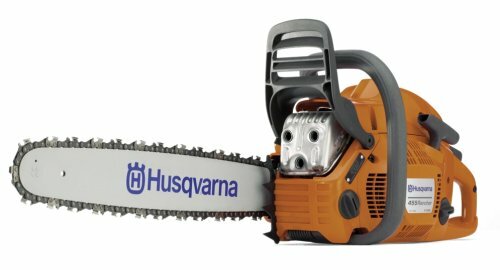 After that, we got a Husqavarna that was slightly better but still could not hold up to the homesteading life. Weight: 12.8 lbs without bar, chain, or fuel. The Husqvarna Rancher is considered a professional grade saw. This is one that is sold at real dealers a lot of the time but you can get it from Amazon as well. This is the one you are going to want to get if you have to go somewhere like Tractor Supply to buy a saw. It is a bit heavier than a Stihl so that may be something you want to consider. 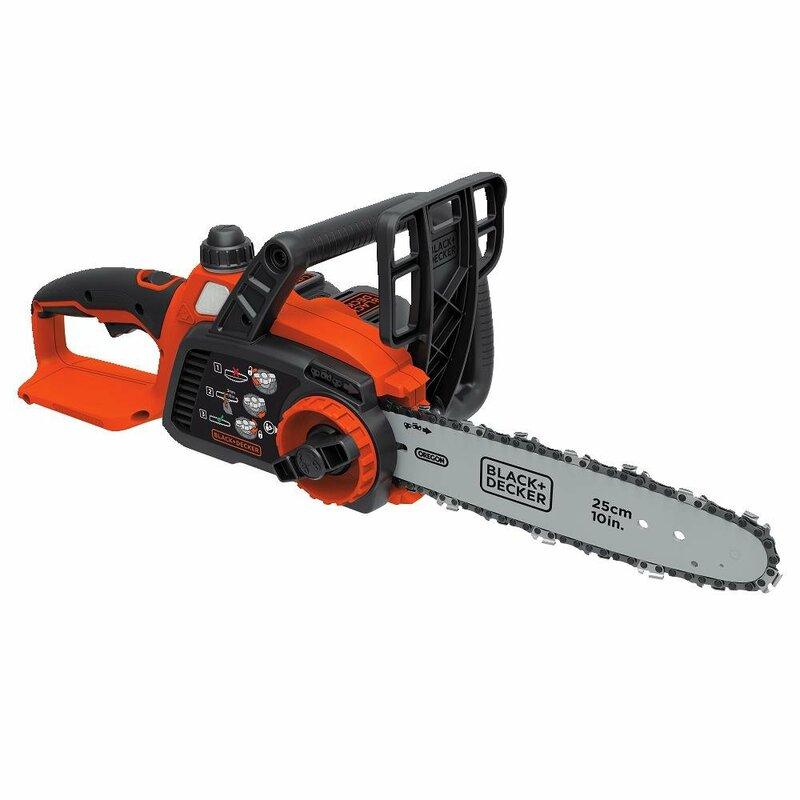 Since this is a larger saw I would only recommend this for those that plan on doing a lot of chainsaw work that involves larger trees or putting back a lot of firewood for the winter. These are okay for small jobs but not practical for heavy use. They consume a lot of power if you are using alternative energy like a generator or solar. You also need an extension cord or the ability to keep their batteries charged up to use them. The plus side is that quality electric saws are far cheaper than gasoline-powered saws. Battery powered saws are not something I am familiar with but I have heard good opinions on electric corded models. They are handy to have if you have a small parcel and reliable power at times. For survival situations or those times when power is just not there you need gas or good old manual power. Electric and battery powered saws are an option for those that have trouble with pull starts. They are definitely quiter to use and there is no emissions so some people like them for that reason alone. Weight: 12.9 lbs including the bar and chain. Power Consumption: 15 Amps. Some extension cords are only rated to 13 amps so I would recommend getting a medium duty extension cord to run this off of. I find it amazing that this saw claims to be self-sharpening. It gets good enough reviews for me to think it is worth mentioning. Sure you can get electric chainsaws that cost half this price but Oregon is well known and trusted brand. This saw is covered by a 2 year warranty or 1 year if you are using it for pro or business use. It is lightweight but I have to say that if you have not used an electric saw before but have used a lot of gas ones then prepare for less power overall. 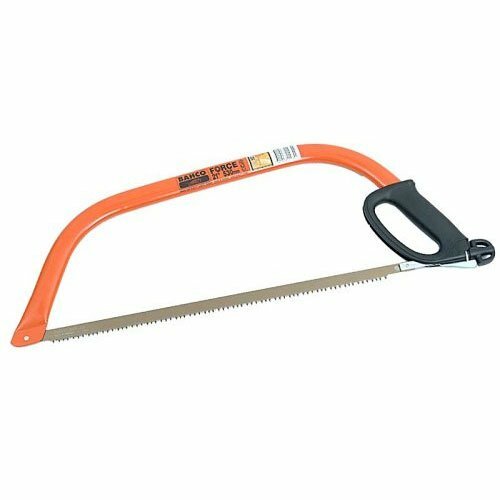 This saw is best for those that do a bit of backyard work or haul in larger limbs to buck up for firewood in the backyard. It has potential for small jobs and when you want to have less noise. Bar Length: 10″ This is a saw that is just meant for small jobs like cutting a sapling or trimming some limbs. I was really surprised to see a battery powered saw that got such positive feedback. Battery powered power tools are a challenge because it is hard to fit all that power in a battery that is reasonable to use. The saw is amazingly light weight and easy to use with low noise and no tools needed for adjustments. No handsaw is going to be particularly comfy to use. They take a lot of work and endurance to use so most people only use them when the circumstances make it totally necessary. Big cross cut saws were once known as misery whips for a reason! 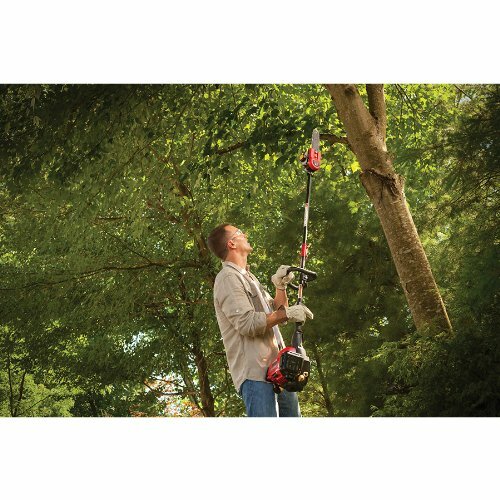 Ths gas powered pole saw reaches up to 12 feet so you can get a lot done. The price is right on this one and it gets good feedback. A 2 year warranty is pretty good for the money too. I would say that if you want to trim many trees to go with a gas powered trimmer if you have property where electricity is going to be a problem. I was really surprised to see that this saw only burns 8 amps. That is small enough that you could use a mobile power supply like a Yeti solar generator to power it. It is pretty cool that you can take off the head and use it like you would a chainsaw. For the money, this is a very versatile tool. 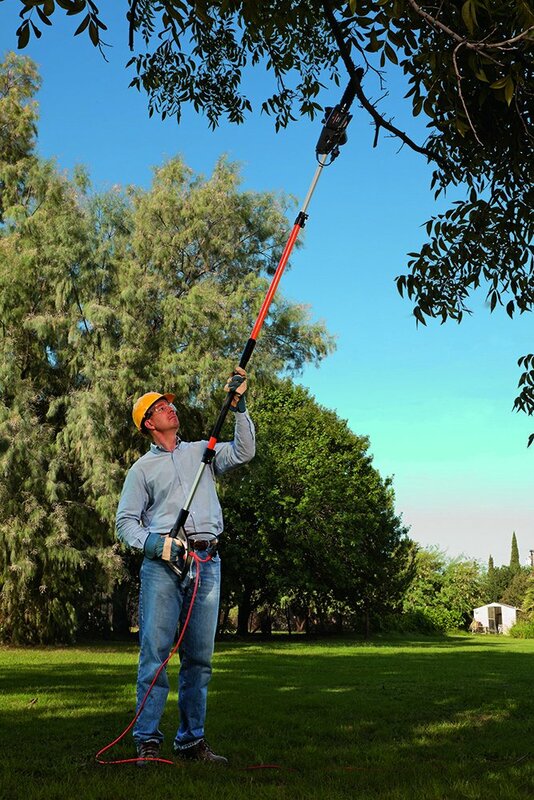 The pole allows you to cut branches that are up to 15 feet off the ground. 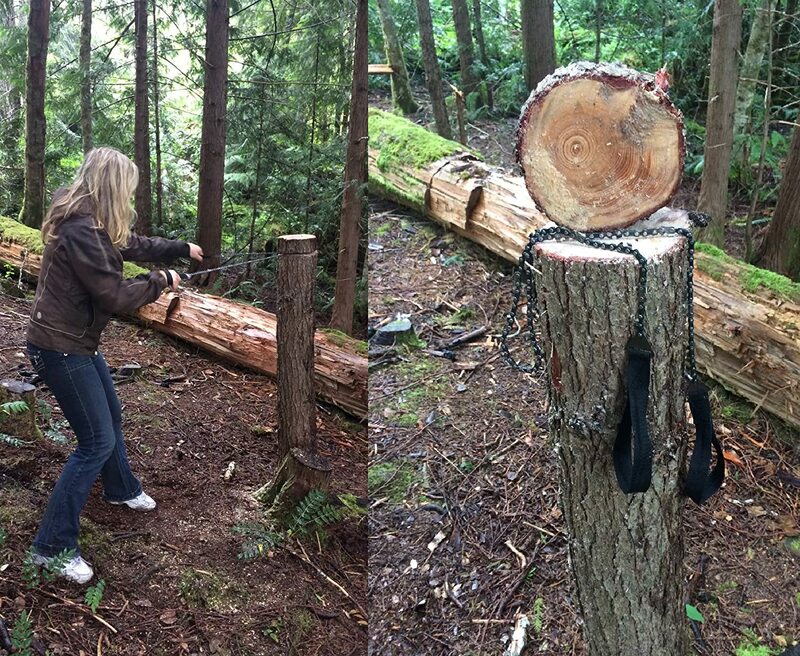 The handsaw is an important tool for the homeowner and prepper. A good sharp hand saw can do more than you would think. Unfortunately, a lot of people have just had the pleasure of using the cheapest and most unreliable hand saws out there so they understandably have an aversion to them. I have used a lot of handsaws over the years and there is a big difference between a good one and a bad one. A good one makes you think that cutting down a small tree by hand is not so bad whereas a bad one gives you the feeling that you would do just as well with a cheese grater. You can replace the blades on some hand saws but a lot of them are made to be tossed once you get it dull. If you have a saw with replaceable blades, make sure you always get the best quality replacement possible. I like a basic bow style for just lopping a few small things here and there. This model has a mor comfortable handle to use than a lot of saws. This is the version that is set up for cutting green wood. If you plan on cutting mostly dry then get the version with the right blade for it. 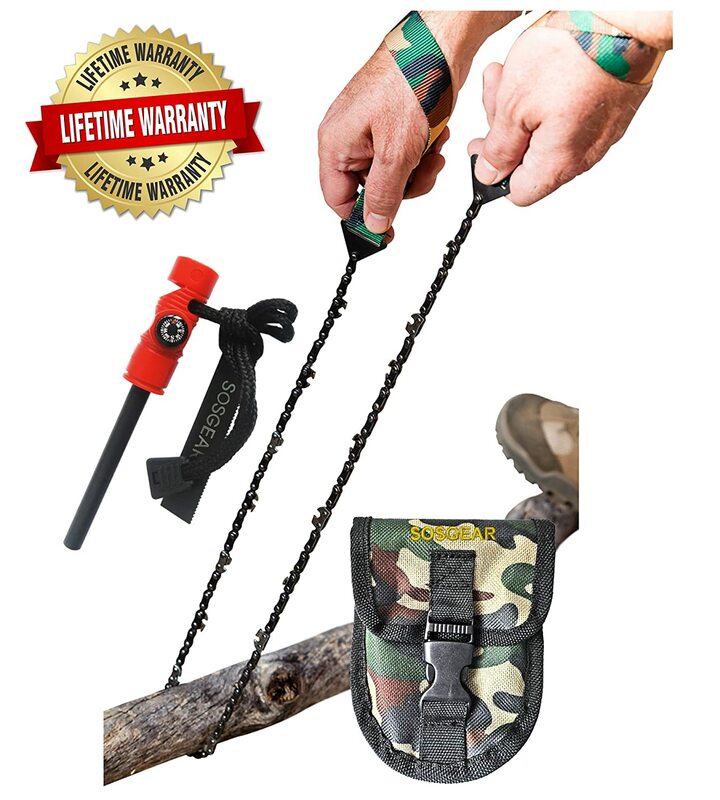 These types of saws are great for those that want something to just throw in a bug out bag. They take a lot of strength and stamina to use but some find them useful for getting firewood out in the bush. They could also help you get something out of the way if you had to. Here are a few I found worth looking at. I like the big handles this pocket saw has and it comes with a free ferro rod and striker which is kind of nice. This saw is a full 36″ long instead of the 24 inches that a lot of pocket saws are. I recommend getting one of these out and trying to cut something with it during good times so you know what to expect if you have to use it an emergency or bug out situation. SOG is a decent brand and this saw comes with some extras that may make more useful for your bug out bag. The saw comes in 24″ or 36″ length depending on your preference. It also comes with a fire starter and striker, safety whistle, and a compass. This is a solid choice if you want a pocket saw. In a lot of ways it is a total fire and fuel package but I am not the type that likes to just rely on a firestarter. A few waterproof matches or a lighter gives a more complete sense of security. Safety gear should not be overlooked when using power saws. Growing up in a sawmill and logging mecca like rural Washington State, I was well aware of the dangers of saws from an early age. My dad worked in a sawmill that cut up trees that measured as wide as a lot of people’s living rooms. He cut his fingers and even his chin quite deeply despite being careful. Chainsaw accidents were a major thing out there. There is a reason why Washington State law deemed it illegal to operate a chainsaw for more than 6 hours per day. It is extremely exhausting work and you have to be on top of your game. They earned a full-time wage for those 6 hours and it was well deserved. Any home improvement or comprehensive home improvement store sells protective chaps but you can do better ordering in most cases. It is important to make sure that you get the right size. You want the chaps to come down to your boots but not be so long that they drag or pose a tripping hazard. Good full leather boots with a good toe. It is crazy to operate a saw without wearing proper footwear. A full grain leather boot with a safety toe is a good idea. Steel toes are not the most comfortable so you may try to find an alternative safety toe to make it more comfortable. There are some boots that are made specifically for chainsaw operation. Ok most of the time this may not be something that you care too much about having but if you are felling a lot of trees or working around others a lot that are felling then you should consider a hard hat at times. You can get combo hats that have a face shield and hearing protection attached for an all in one solution. Earplugs or headphones is required for any saw operation. Over time a saw is more than enough to permanently damage your hearing. If you plan on using a saw a lot then have plugs and headphones so you have a lot of options at all times. Those that are doing secondary or support jobs near you need hearing protection as well. A lot of chainsaw dealers have some incentives that you can take advantage of. When we bought our Stihls we got a 6 pack of gas mix for nothing. The end of firewood season could also be a good time to buy. Buying locally from a dealer can have advantages. Buying at a dealer makes it a lot easier to get your saw repaired if something happens during the warranty period. You can just take it in and pick it up later. If it is covered in the warranty you get no charges and they keep records of what has been done to your saw and everything much like how a car dealer does if you always go to them to get your services done. Get the extended warranty plan if buying online or if buying a saw at a home improvement store. When it comes to major power tool purchases it is worth the extra $15-$20 to me to know that no matter what happens to the tool over 1-3 years, I can return it no questions asked. This is cheap insurance because you know that you have at least protected most of the money you set aside for a tool. We bought a power auger at Lowes once and used it to dig about 300 holes and then it lost power. Since we had the good plan we got a total refund not just a replacement auger. We put it towards buying a name brand Stihl auger. As someone starting a small business I was glad I was not out $300 on a tool. Register your product or make sure the dealer does. If you buy at a dealer they will register your saw for you sometimes but make sure regardless because then you will have an active warranty. Even the best saws are not perfect. If your oiler stops working or something like that then you are going to be glad you had that warranty. There is no perfect saw for every use. As you can see there are a lot of choices to make when it comes to saws. It is likely you are going to want more than one of the types mentioned in this post. I know on our place we have several sizes of chainsaw, bow saws, and a pole saw. Gas powered saws require special mix for the gas and need oil for the bar but provide a lot of power. Battery and electric are handy but they have limited power and range. I encourage you to think a bit about making a saw purchase and ask yourself what you are going to be really be using it for the most. Alos I am going to repeat what I said before about not getting a saw that is too powerful and heavy for what you actually need it for. Do you have a favorite saw? Any advice on electric or battery powered saws? My personal experience has mostly been gas-powered saws and hand saws. STIHL is the best for the money and that “EASY START” pull they have on it now is a shoulder saver. If you haven’t seen or tried one do so at a dealer. I don’t recommend the largest saw but neither the smallest or cheapest. Buy the best you can afford that is manageable. Safety Safety Safety it can’t be stressed enough when cutting wood regardless of the saw. Echo. 5 Year/lifetime warranty. All models are professional. No need to go to a brand name dealer!!!!!!!!!!!!!!!!!!!!! !